When Christmas is over, it’s time to party! 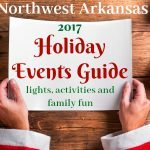 So here’s a list of New Year’s Eve events happening in Northwest Arkansas — just click on the name of the event for more info. Noon Year’s Eve, Crystal Bridges. 10 a.m. to 2 p.m. Ring in the New Year (without staying up past bedtime) at our third annual family celebration! We’ll have fun art projects, performances, a Coca-Cola toast at noon, and a family dance party. Free, no registration required. New Year’s Eve hours at the Amazeum. Noon to 4 p.m. Before you head out for the night’s festivities, spend the afternoon at the Scott Family Amazeum. Open from noon to 4 pm on New Year’s Eve. 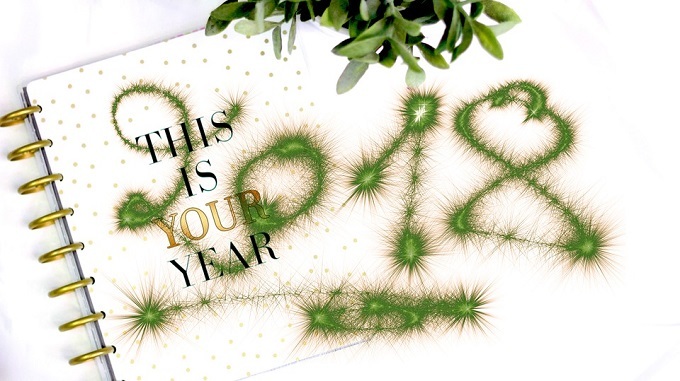 It’s a great way to Zing in the New Year. Last Night Fayetteville 2017. 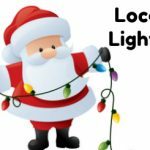 7 p.m. to 2 a.m., Fayetteville Square. 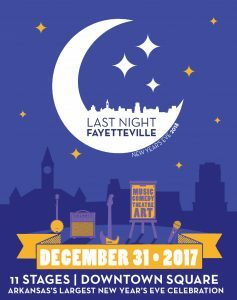 Last Night Fayetteville is a performing arts festival taking place on December 31st on the downtown Fayetteville square featuring more than 100 local artists on 11 stages. 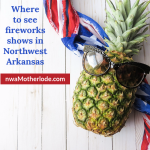 Countdown to 2018 with the world famous Hog Drop Countdown to Midnight & Fireworks, and party on into the New Year. VIP tickets get you access to the new VIP lounge at Main Stage featuring catered hors d’oeuvres, beer, wine, and cocktails included, a champagne toast under the fireworks at midnight, preferred seating, NYE party gear and express check in. Early bird general admission tickets are just $20 through Nov 17 (or $5 for kid’s 2-12). Starlight Skatium All-Night Skate. Starts New Year’s Eve at 7 p.m. and ends at 7 a.m. $25. Great Day Skate Place skating event. is also hosting a skating event on New Year’s Eve. Baker’s Wakery celebration. Baker’s Wakery has a storefront now at 2518 W. MLK Jr. Blvd. in Fayetteville and is celebrating its first birthday. They’re having a a special celebration to thank customers and to end 2017 with love and donuts from 10 a.m. to 3 p.m. Teen New Year’s Eve Band Night. 8 p.m. to midnight, Friday, Dec. 29. Meteor Guitar Gallery, Bentonville. Come have an early New Years Celebration with The BlackListed, 357 and This Just In. Tickets are $10. New Year’s Eve Masquerade Ball. Springdale Holiday Inn and Convention Center featuring party band Funk Factory. All tickets include party favors, countdown, champagne toast and a balloon drop at midnight. You must be 21 or older with valid ID. Ultimate Package $179 (includes dinner, room at the hotel, etc.) and Basic Package $149 (also includes hotel room, etc.) Party-only tickets: Couple $50; Single $30. 3rd Annual New Year’s Eve with Soul “Viva Las Vegas” 9 p.m. to 1 a.m., Doubletree Hilton in Bentonville. The event includes: Professional Poker Tables-Blackjack and Texas Hold Em’ Tournaments, Hors d’oeuvres, Midnight Champagne Toast, Libations, Music by Paper Jam Band, Photo Booth by NWA PhotoBomb, Silent Auction/Prizes, Breakfast for 2 with Hotel Stay. $75 Individual $100 Couple $169 Couple with Hotel Stay. All proceeds benefit Souls Harbor NWA. A Swanky New Year’s Eve Soiree. The Inn at Carnall Hall, 10 p.m. to 2 a.m. Vintage Press & Design Co. is putting on a NYE party that marries the annual-ritual of dancing ‘n’ drinking with a private exhibition of local artists. Vintage Pistol will be headlining. Your ticket will include access to the party and art gallery, free hor d’oeuvres, and a free champagne toast at midnight. New Year’s Day Hike, Hobbs State Park. First Day Hikes originated over 20 years ago at the Blue Hills Reservation, a state park in Milton, Massachusetts. The initiative targeted the first of January, the start of a new year, to promote both healthy lifestyles throughout the year and the year-round recreation that can be experienced locally in state parks. Through the years, other states, including Arkansas, joined this health initiative. Get your year off on the right foot with a hike on the trails of Hobbs State Park Conservation Area just east of Rogers. Two different guided tours will be available on Monday January 1, 2018. Meet Interpreter Steve in the Van Winkle parking lot on Hwy. 12 at 10:00 a.m. for a 1/2 mile nature hike on the Sinking Stream Trail OR meet with special guides Jim and Diane Gately in the Van Winkle parking lot on Hwy. 12 at 2:00 p.m. for a 1/2 mile historic hike. They will guide you through what was the Peter Van Winkle sawmill community. The Van Winkle sawmill mill was the largest in the state during the 1870’s, and the area you will be hiking is on the National Register of Historic Places. If you like to venture on your own, take the 1/3 – mile stroll along the paved Ozark Plateau Trail next to the Park’s visitor center, or head out for an all day jaunt along the 9-mile Little Clifty Loop to reveal the hidden diversity of winter wildlife in the Ozarks. 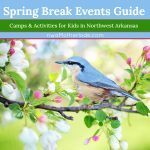 Hobbs State Park offers 35 miles of trails of different lengths. Maps and more information can be found at the visitor center and at the trail heads. 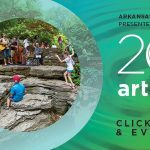 Outings Under $20: 2018 Artosphere festival events in Northwest Arkansas!